Every year SOLIDWORKS makes enhancements to the software, much of it based on user feedback. They publish a “What’s New” document so that you can browse through and read about the hundreds of improvements that they made. There are improvements that get made that don’t make it into the document, however. I don’t know if they forget (after making hundreds of changes I’d forget some too) or if they consider them too minor. Regardless, I’ve been playing around with SOLIDWORKS Electrical 2017 service pack 0 and have found a few of those, and I thought I’d share them with you. 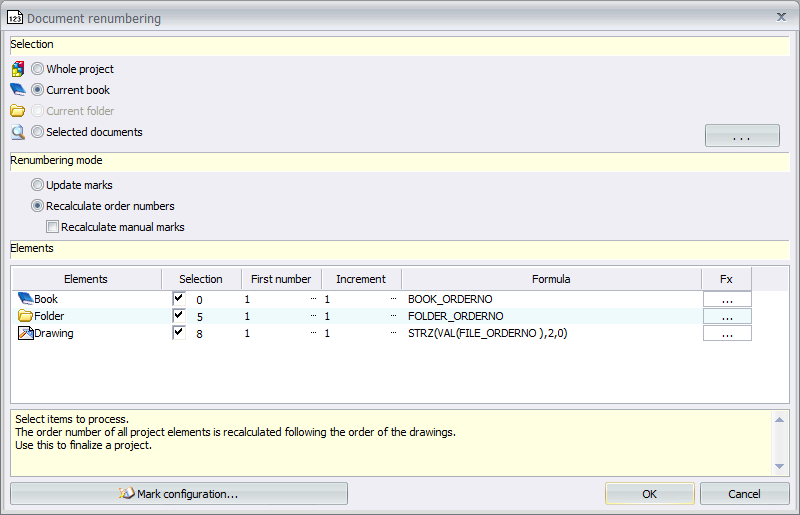 The interface that shows up when you right-click on the book in the document tree and select renumber drawings has changed. 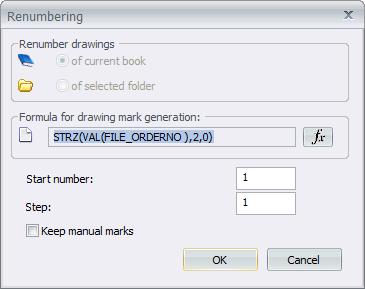 There are more options, and you can change the formula not only for the documents, but the books and folders in the project as well. They also got rid of the “start numbering at” field. Some users may not approve of that, but personally I think that was a good idea since that was the only place that option was available, and every time you renumbered the documents it would default to 1. It is much better practice to just bake the start number into the formula. 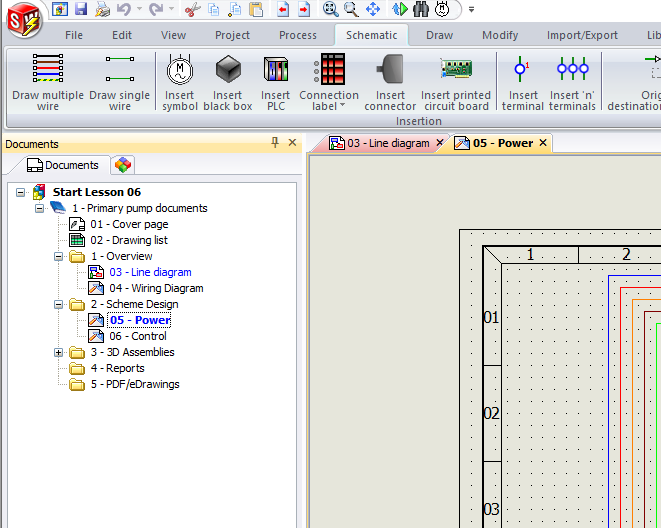 Ever wanted to edit how the cable information is displayed when you reserve it on the Line Diagram? Or when you associate wires to cables in the Schematic? Now you can! Those get their own formulas so you can label it exactly like you want. 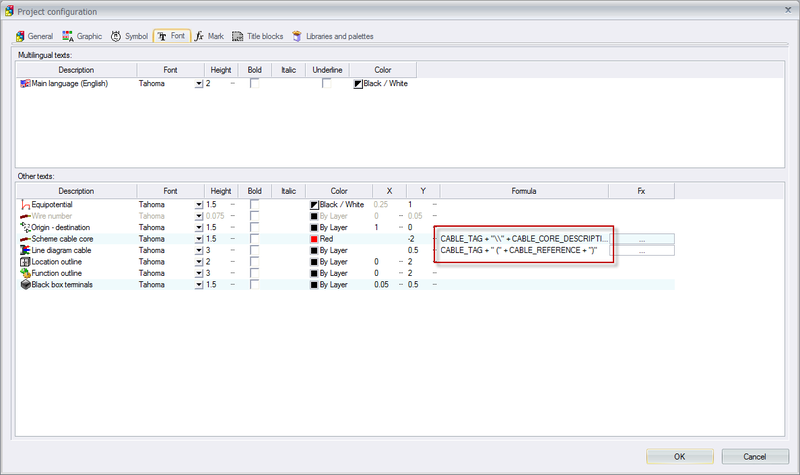 Strangely it is on the Font tab of the project configuration instead of the Mark tab though. This one is just a nice visual indication. Any documents that are opened by you will appear with blue text on the document tree. If it is the active window, it will be bold blue. And any documents are opened by someone else on their machine, it will show up with red text. When you are inserting rails and ducts in the 2D cabinet drawing, you used to select the middle, and then when you moved the mouse it would change the length around that midpoint. Now when you place it, the length changes based on the left or top edge. I’d like to see some further improvement since the first click is still the (initial) midpoint, but it is a step in the right direction. If you are currently using any of the 2017 releases, have you found anything else? Submit a comment below!